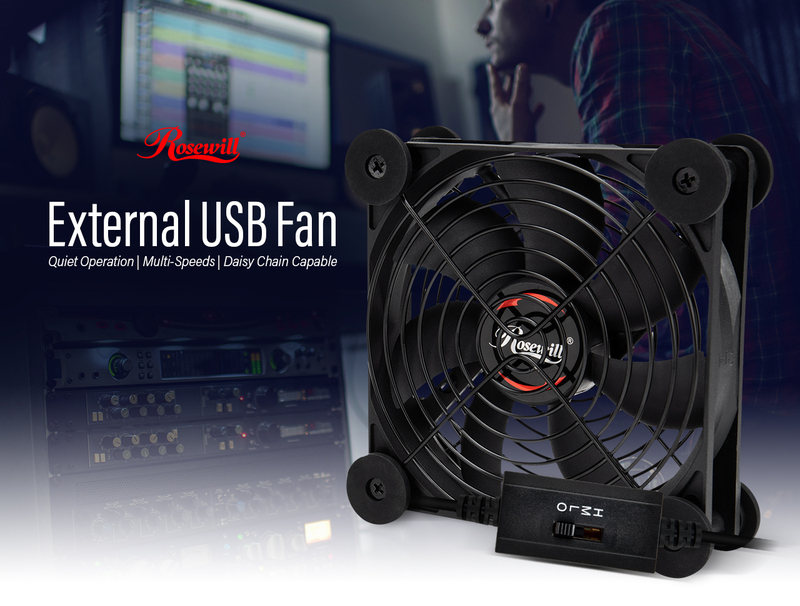 Adjust between three fan speeds for optimal airflow and desired noise level in various environments. 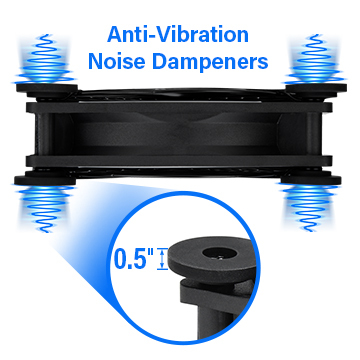 Equipped with anti-vibration noise dampener gaskets for near silent and stable operation while effectively ventilating cabinets with receivers, DVRs, modems, game consoles, audio/video electronics and more. 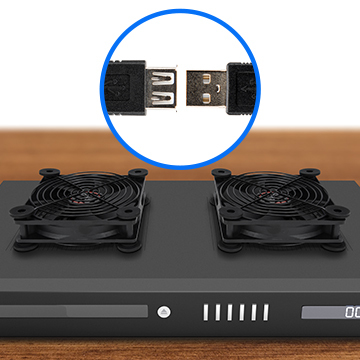 For more cooling capability, daisy chain with one additional fan. 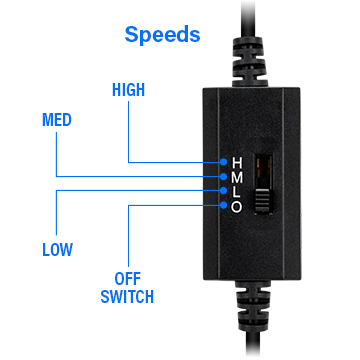 Both fans are powered by simply plugging the main USB connector into a USB port of electronics and video game consoles. Powered with USB interface, include PC, NB, USB charger, power bank and so on. Come with 75-inch long USB cable to extend your working or playing ground.